Colorful austerity measure. 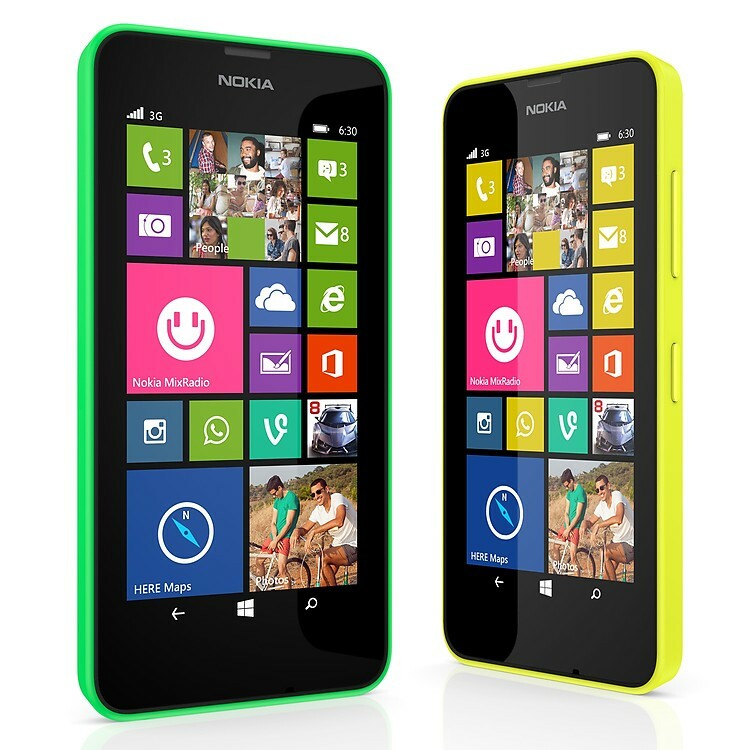 Microsoft needs affordable smartphones to bring its Windows Phone 8.1 operating system to the people. Nokia's Lumia 630 with a swappable cover, smooth operation, and microSD reader wants to score with a price below 200 Euros (~$271). However, our report reveals that Nokia has cut several corners. Overall, I think the Lumia 630 is a great little dual SIM phone. Priced at AED 599, it’s a good introduction for anyone looking for a cheap dual SIM smartphone. Windows Phone is maturing well as an OS and has many of the commonly used apps like Whatsapp and Instagram now available for it. The Nokia Lumia 630 is a fantastic Windows handset. Its superb battery life and additional camera features are far above what we'd normally expect to see from such a cheap phone, and its excellent web performance puts it on equal standing with other top budget Android handsets such as the Motorola Moto G. If you're looking for a cheap Windows handset, the Lumia 630 is for you. However, if you live in a 4G area, you may want to consider the Lumia 630's 4G cousin, the Nokia Lumia 635, which costs just £10 more SIM free. We'll be publishing our review of the Lumia 635 shortly, as despite appearing to be exactly the same in terms of specification, our initial tests revealed some significant differences between the two handsets. If you're considering the Lumia 630 as a first smartphone and you don't plan to buy lots of wireless accessories and install lots of apps, it's not a bad choice at all. Windows Phone 8.1 is very easy to use, and will improve even more when Cortana and its associated features arrive in the UK. However, the sticky problem of a lack of apps in Microsoft's store remains an issue for all Windows Phone 8 smartphones, and the lack of a front-facing camera is a problem if you want to use Skype. The Nokia Lumia 630 is something of a mixed bag. It's cheap, cheerful and Nokia succeeds in delivering a bright and well built handset that's ahead of many competitors' plastic offerings. It also gives you the latest Windows Phone 8.1 operating system experience, as well as the latest additions from Lumia Cyan. But we found the software experience can feel a little slow and, with our review device, a little buggy too. There are hardware compromises too, especially in the display, when pitched against rivals such as the Motorola Moto G.
Nokia has skill at making affordable and attractive handsets - the Nokia Lumia 530 was a popular choice and is one of the most purchased Windows Phone handsets ever. This is a worthy successor with cute styling, okay screen and highly effective processor. It has good battery life. But the standout is the software: Windows Phone 8.1 is great and is only going to get better. The Lumia 630 is limited by the hardware specifications but it remains good value if you can track it down for the sub-£100 price. This seems to be tricky as at present O2 looks like the one place where you can get the device for £99. Other retailers are offering it for £130, so if you're not on O2 we'd recommend the simlar priced Moto G instead. I can't help but feel that the Lumia 630 was thrown together to be a Windows Phone 8.1 demo device, and then someone decided it was suitable for a retail release. I couldn't disagree more. Forget that Microsoft still has come catching up to do before its mobile OS is considered on par with others; the hardware itself is lacking. While we love those new sensor core features for GPS-independent exercise tracking, the Lumia 630 is a tough sell with so many other hardware features lacking (or simply absent). If you’re going to go with a budget Windows Phone, we’d recommend going all the way and looking for a $45-$60 Nokia Lumia 520. Those in the market for a fairly solid mid-range device who have an aversion to Android, this one may suit you. As a Windows Phone, it left us wanting, but that’s just the mid-range game sometimes. Windows Phone begs for better hardware all around, and the Nokia 630 doesn’t deliver. For the market it’s aims at, though, it will likely be a good foot in the door for Microsoft. The boosted 1830mAh battery is pretty stellar in delivering more than a day’s worth of juice. Our 8-hour loop test ended with about 27 percent of battery to spare. One can easily go up to two days without charging it again, under light to moderate usage. I'd like to take my hat off to Microsoft and Nokia who have built on the success of the Nokia Lumia 520 brilliantly to design and build yet another respectable budget phone in the Nokia Lumia 630. For a low price it does all the basics and does them well but also offers a decent battery, solid quad-core processor and a whole host of new features in Windows Phone 8.1. We've been impressed with the iPhone 5C's battery life. Unless you hammer the device with contant gaming or video playback, it will last a couple of days with regular and varied use. The phone holds its charge incredibly well when not in use - our sample sat on just one percent for a number of hours. We like the Lumia 630, and it is great value. But we'll be sticking with the iPhone 5c and its better camera, battery life and build. The Nokia Lumia 630 is a cheery, low cost phone with a better camera than some bargain basement Androids. But its screen resolution is quite poor and the availability and load speed of apps are issues. The Nokia Lumia 630 may not be the top-end Windows Phone 8.1 flagship handset everyone expected, but thanks to its quad-core performance, decent display and affordable price it does a decent job showcasing the OS' upgraded productivity and security services. The 630 is easy to get along with. Yes it’s a bit slow and nothing about this Nokia screams ‘game-changer’. It’s just a nice phone for the money. It looks fun, comes with some excellent Nokia and Microsoft freebies and the OS is friendlier at first glance than KitKat, Google’s latest smartphone software. Right now though, affordable Androids (still) make more sense. And by affordable Androids, we (still) mean the brilliant Moto G. It’s selling for around the £100 mark and is worth every penny. And more. What the Lumia 630 lacks the average user won't miss: no NFC, no fingerprint reader and no heart-rate monitor. It's a combination of good-enough hardware and an increasingly elegant operating system at a low price which will make it an attractive package for many. As such, phones like the Lumia 630 are throwing down a challenge to the smartphone flagships; give us useful and usable innovation and not just empty novelty, or we'll make do with handsets like this. The newer version of Windows Phone makes it a more functional option, tying in nicely if you have Windows 8 or 8.1 on your PC. There’s less futzing around on a Lumia than with an Android, but obviously less customisation or choice – you can replace everything, including the dialer and SMS app, on an Android. You can replace everything but the all-seeing-eye of Sauron Google. So Windows Phone is no longer as distinctive as it was, but if forgoing a wider app choice doesn’t bother you, and a robust basic modern smartphone is all you need, Lumia ticks the box. Nokia and Microsoft have crafted a well-rounded budget phone with the Lumia 630, that not only looks the business, but performs extremely well thanks to the excellent Windows Phone 8.1. While Microsoft is still playing app-catch up, for the less demanding, the Nokia Lumia 630 proves that you can have your (cellphone) cake and eat it. A bargain. The Lumia 630 delivers excellent smartphone experience. Windows Phone 8.1 is fast, fluid, and smart. Considering its price tag, the handset is incredibly well built. You'd be forgiven to think that the phone costs around Rs 15,000. The screen isn't very sharp, but does a good job at producing colours. The phone doesn't support Candy Crush Saga, but you get useful apps such as Microsoft Office Suite, HERE Drive +, and Mix Radio. The step down to 512MB RAM and the absence of a flash are inconvenient, not dealbreakers, but customers who choose Android phones in the same price band won't have to make similar compromises. Moreover, there are also far better phones such as the Moto G which cost only very little more. 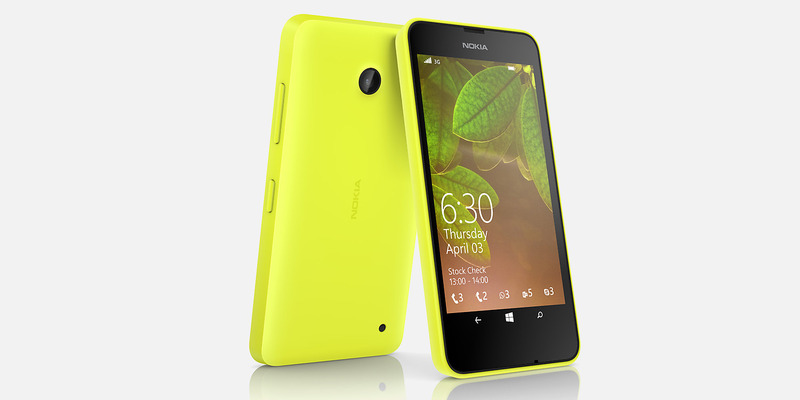 We feel as though the Lumia 630 will be more competitive once its price drops by around Rs. 1,000 - 2,000. The Lumia 630 - hitting the retail shelves on May 14 - has a lot riding on its shoulders as it provides the world with peek into the world of Windows Phone 8.1 before the other phones get the update on June 24. The single-SIM version is priced at Rs. 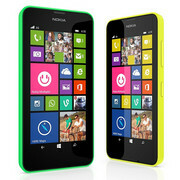 10,500 and Microsoft quotes a price of Rs.11,500 for the dual-SIM one. It competes head-to-head with an established behemoth - the Moto G. Also, joining the fray soon is the Moto E. The budget segment is heating up and the consumers are only glad. 84% Bringt 8.1 die Wende? 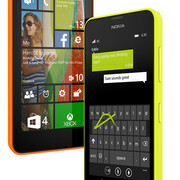 Nokia has certainly taken a different approach when releasing the Nokia Lumia 630. Instead of making a high end and even more sophisticated device, they have opted for a budget handheld instead. And with the ever increasing cost of living, this may just very well be the right move. The design of the phone doesn't reflect its price. 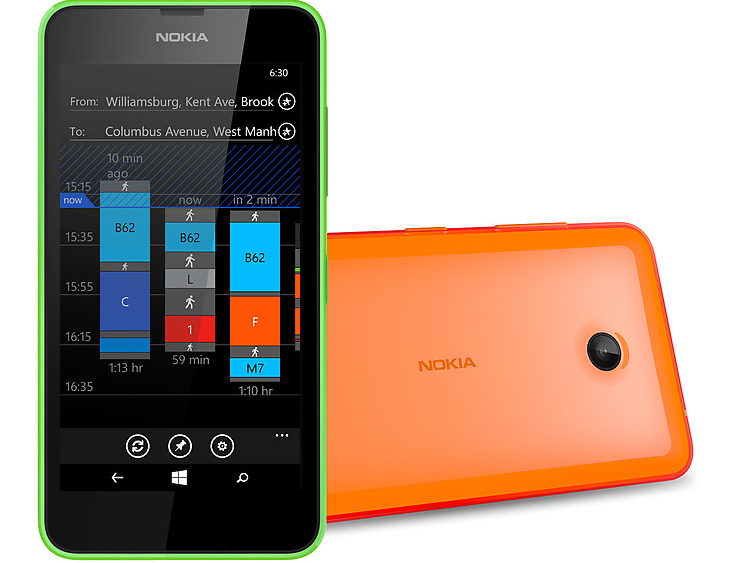 The colorful back of the Nokia Lumia 630 can be removed and replaced with different sets, allowing users to fine-tune the color schemes to their taste. Speaking of removable, the Nokia Lumia 630 comes with a removable battery, another great feature. It also fares well with under the hood specifications. The Nokia Lumia 630 is powered by a quad core 1.2 GHz Qualcomm Snapdragon 400 chipset, which is only seen in phones twice its price. Although it only comes with 512 MB of RAM, the performance and smoothness of usage is on par with its direct rivals having more RAM if not better. The phone has a whopping native memory of 8 GB, which can be increased with an external micro SD card. The 4.5 inch display is also noteworthy. It's big enough to satisfy the rising demand for phones with big screens. Furthermore, the 854 by 480 resolution is a step ahead compared with other rivals, which usually come with 640 by 480. In conclusion, the Nokia Lumia 630 is definitely a phone with tremendous value for money. The only reason why this phone isn't as popular as it should be, might be due to the fact that users are still skeptical about using a Windows based phone.